Why is a exterior angle of a triangle equal to the sum of the opposite interior angles? In Elements I, 32, Euclid proves the angles of a triangle sum to "two right angles" ($180^o$) by first showing that an exterior angle equals the sum of the two opposite interior angles. So he can't use the former to prove the latter. Instead, he shows that exterior $\angle ACD=\angle ABC+\angle BAC$ by drawing$$CE\parallel BA$$and observing that, by I, 29, alternate interior$$\angle BAC=\angle ACE$$and corresponding$$\angle ABC=\angle ECD$$Therefore, the whole exterior $\angle ACD=\angle BAC+\angle ABC$. Only then does Euclid prove--almost as an afterthought--the theorem fundamental in his geometry, that the angles of a triangle sum to $180^o$, or "two right angles" as he puts it. Call the interior angles $A$, $B$, and $C$. Then the exterior angles are $180 - A$, $180 - B$, and $180 - C$. We know that $A + B + C = 180$, so $A = 180 - B - C$, $B = 180 - A - C$, and $C = 180 - A - B$. Substutituing these into our expressions for the exterior angles, our exterior angles at $A$, $B$, and $C$ respectively are $180 - (180 - B - C) = B + C$, $180 - (180 - A - C) = A + C$, and $180 - (180 - A - B) = A + B$. 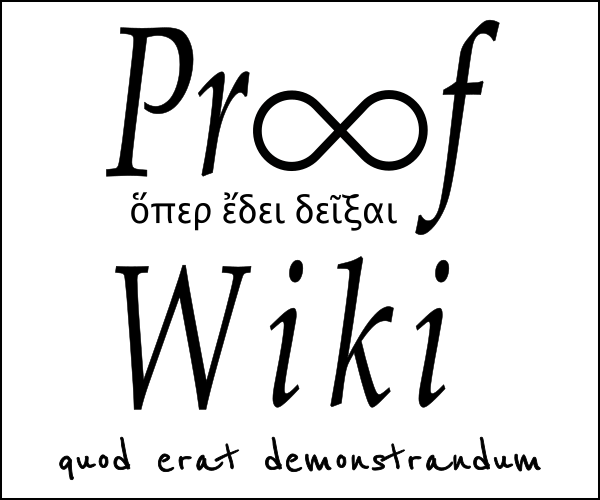 In a ΔABC the sum of all the angles is 180°. Hence, the sum of opposite interior angles is equal to the exterior angle. Not the answer you're looking for? Browse other questions tagged geometry or ask your own question. 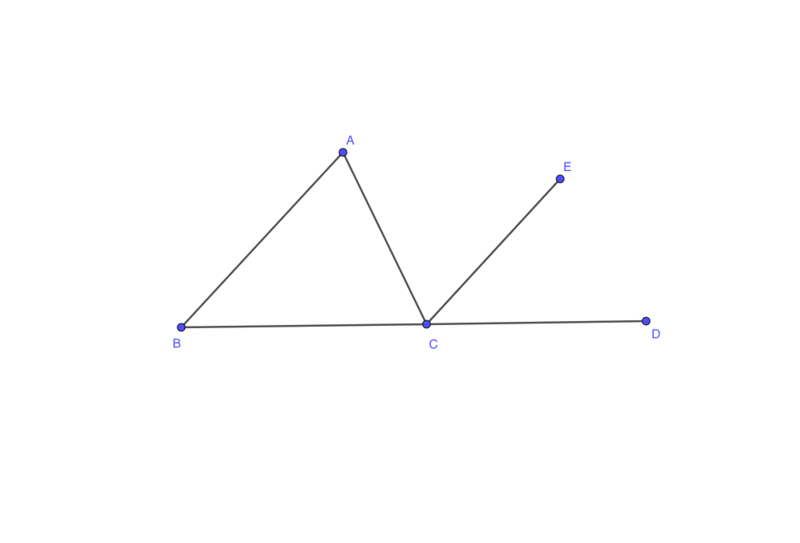 Are exterior angles equal to the sum of two remote angles? Please help explain. A formula for the exterior angles of an irregular polygon, given interior angles? Prove that the straight line joining the middle point of the hypotenuse of a right angled triangle to the right angle is equal to half the hypotenuse. In a 30-60 right triangle the side opposite the 30 degree angle is half the length of the hypotenuse. Why? Does the sum of exterior angles of a simple, convex polygon truly = 360°? 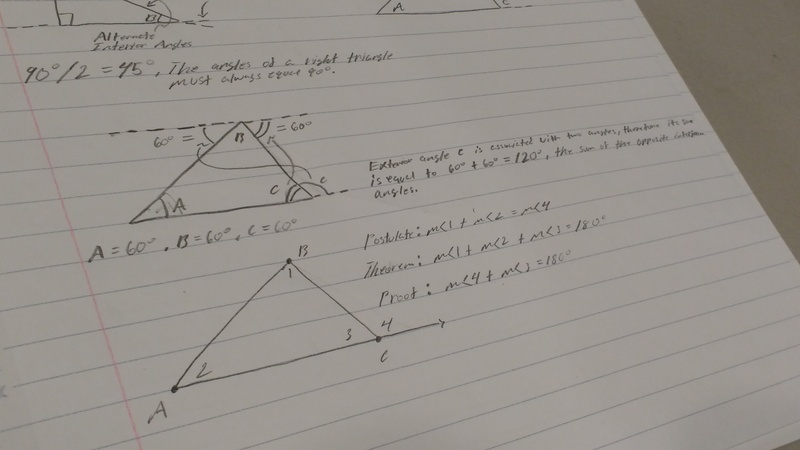 Why is the sum of all external angles in a convex polygon $360^\circ$ and not $720^\circ$?